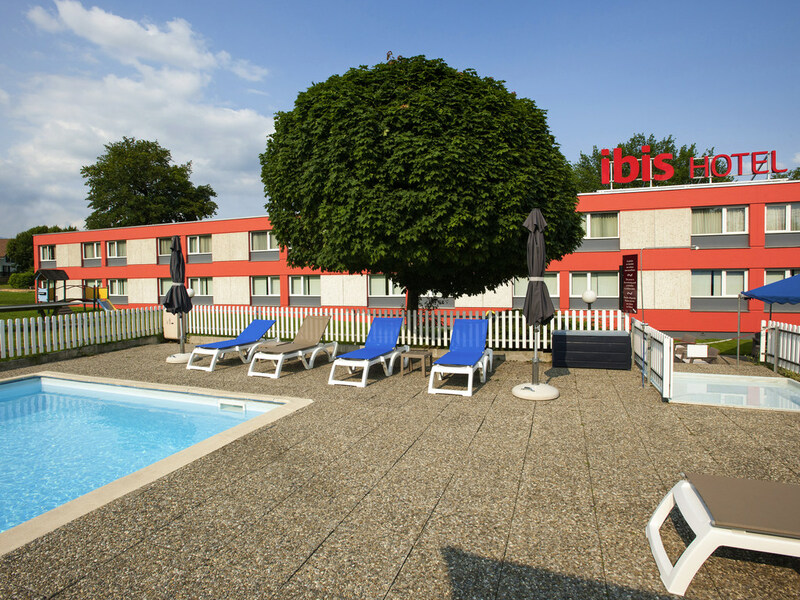 The ibis 3 Lacs Neuchâtel is located in the heart of the 3 Lakes region, at the foot of the Jura and close to the N5. The hotel offers 60 rooms with Wi-Fi as well as a terrace, a swimming pool, a bar, a 24-hour snack service, a free car park and meeting r ooms. Both the town and the Lake Neuchâtel are 5km from the hotel.Golf and tennis facilities are only 2km away. Papilorama and Nocturamab (tropical gardens housing exotic flora and fauna) are just a 20-minute drive away. Modern rooms with new Sweet Bed bedding and a pool view.